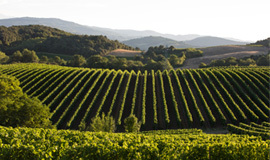 Domaine de Baronarques is located in Languedoc, in the commune of Saint-Polycarpe, near Limoux. 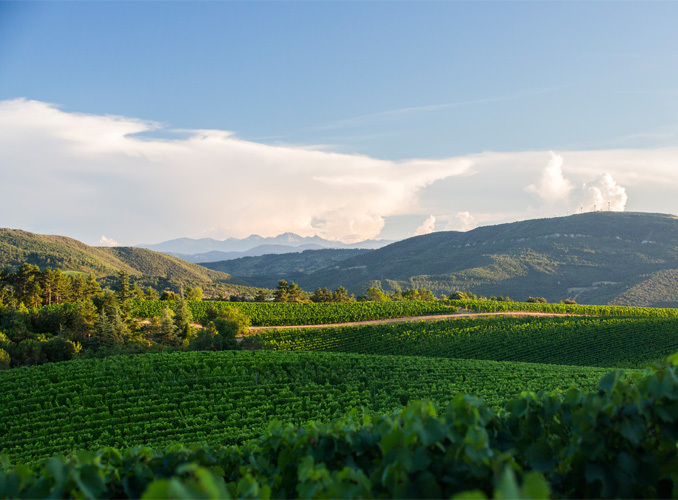 The Domaine is a single 110-hectare (272-acre) estate, 43 hectares (106 acres) of which are planted with vines. 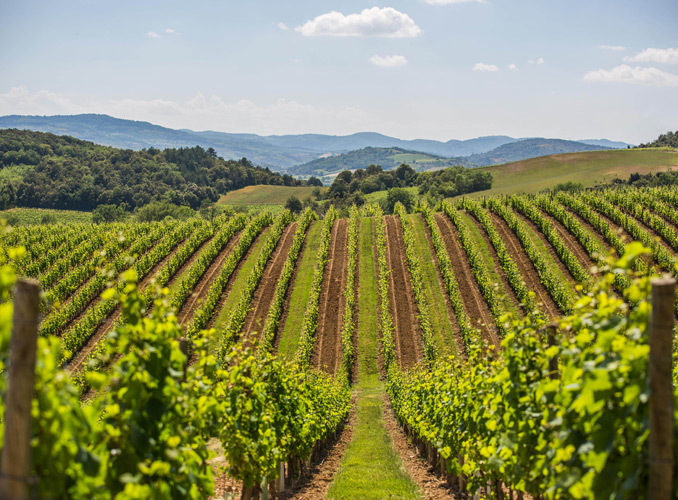 Located 400 km from the Atlantic Ocean and 100 km from the Mediterranean, the vineyard is subject to the climatic influence of both water masses, ensuring optimum sunshine and balanced rainfall. Also close to the Pyrenees, the parcels are at an altitude of 250 to 350 metres, tempering the summer heat. The soil is mainly clay and limestone, except for a few parcels where there is more gravel and sand. The vineyard is planted with 70% Bordeaux varieties (Merlot, Cabernet Sauvignon, Cabernet Franc) and 30% Mediterranean varieties (Syrah, Grenache and Malbec) for the red wines and 100% Chardonnay for the white wine. Seeking the best possible quality, Domaine de Baronarques has opted for high-density planting: 7500 plants per hectare on 10 hectares (25 acres) of the estate and 4600 plants per hectare on the other parcels (most vineyards in the region are planted with a density of around 3000 plants per hectare). 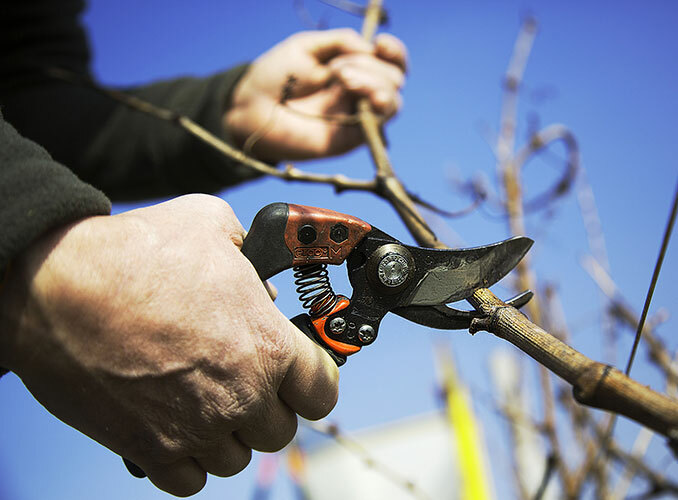 The vineyard practices in use at Rothschild family other estates (disbudding, leaf removal, cluster thinning) are well-suited to the Domaine's different types of soil, micro-climates and grape varieties. 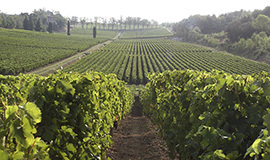 The vineyard practices at Rothschild family other estates (disbudding, leaf removal, cluster thinning) are well-suited to the Domaine's different types of soil, microclimates and grape varieties.